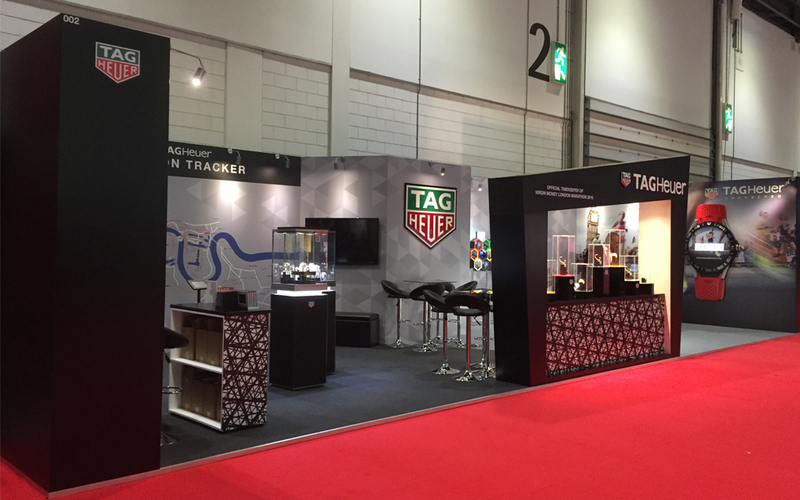 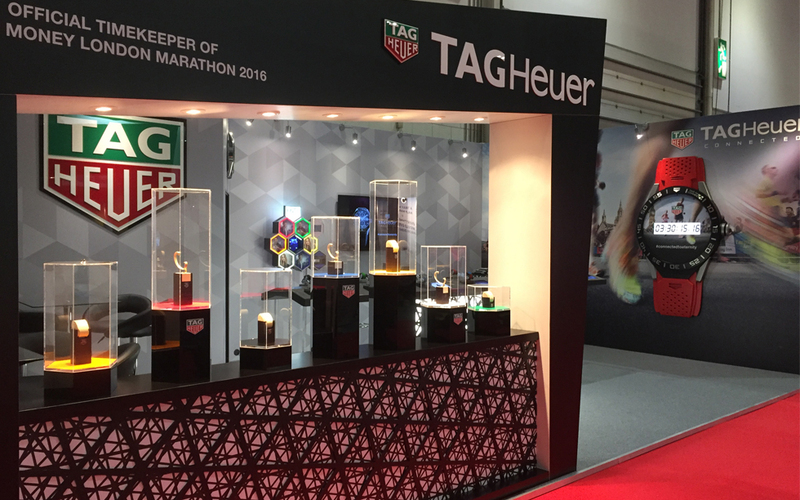 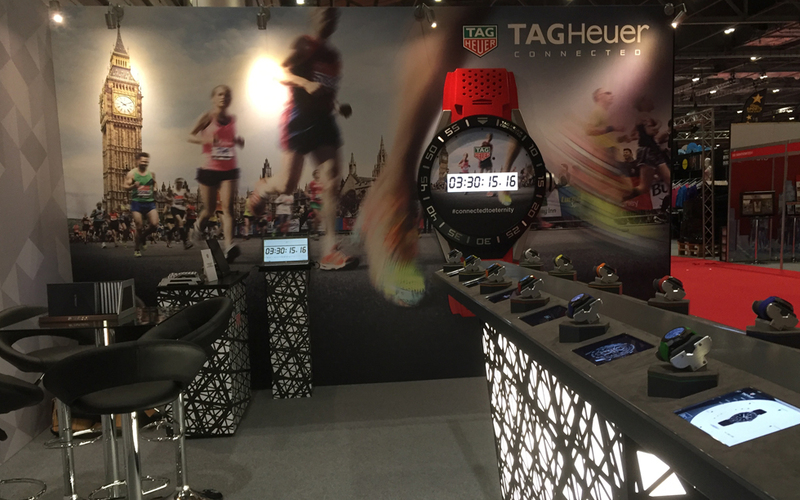 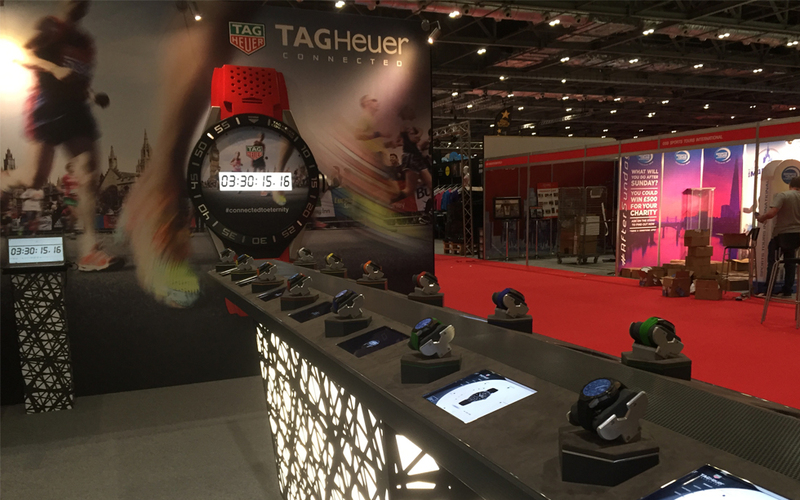 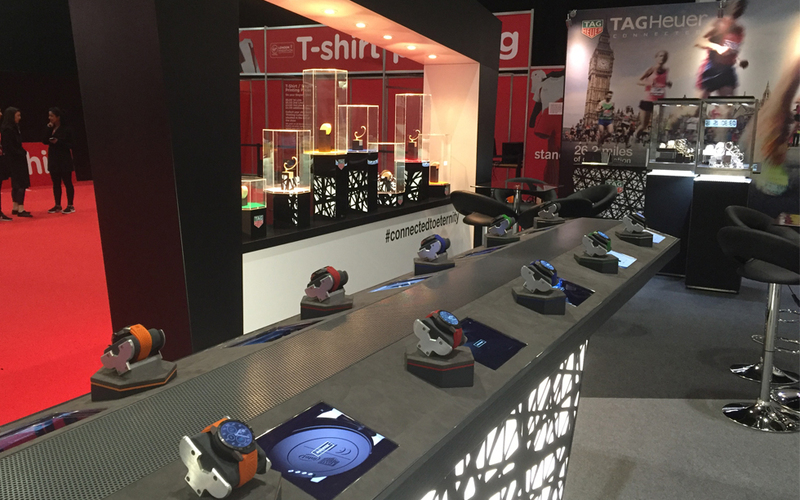 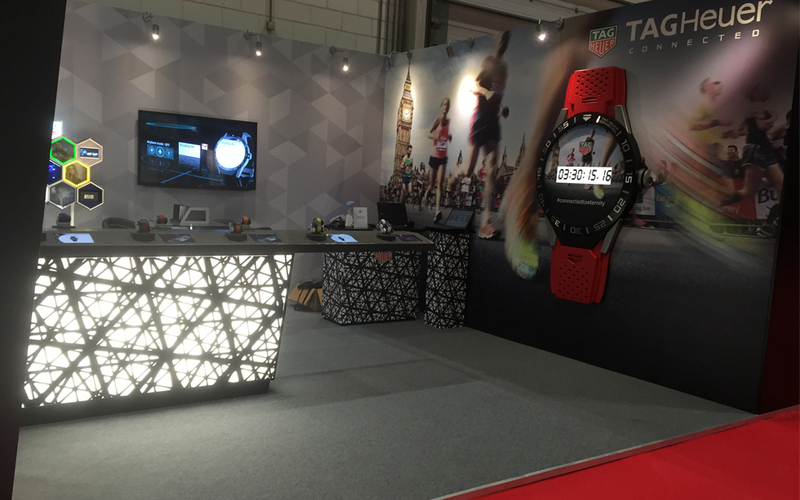 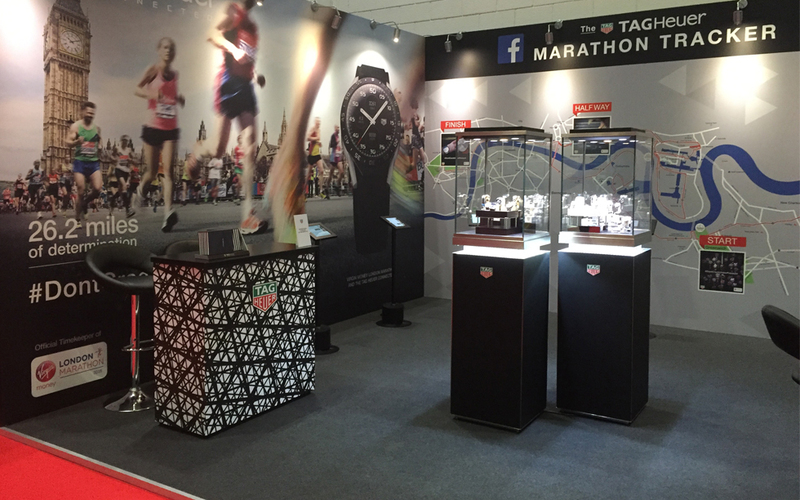 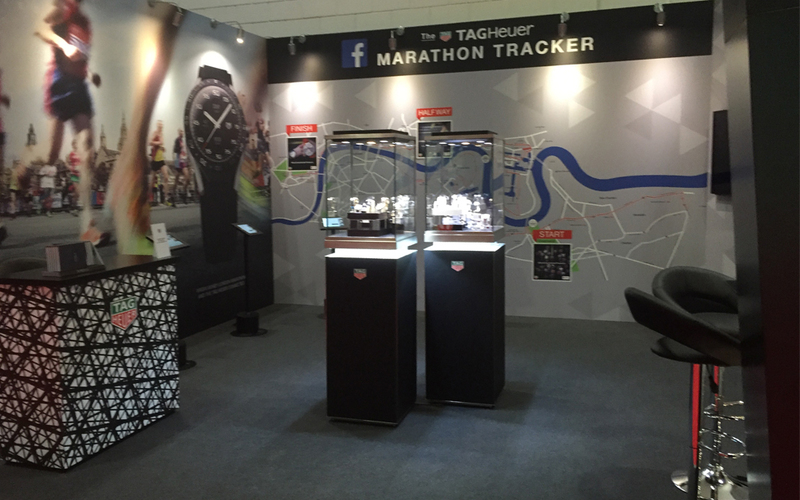 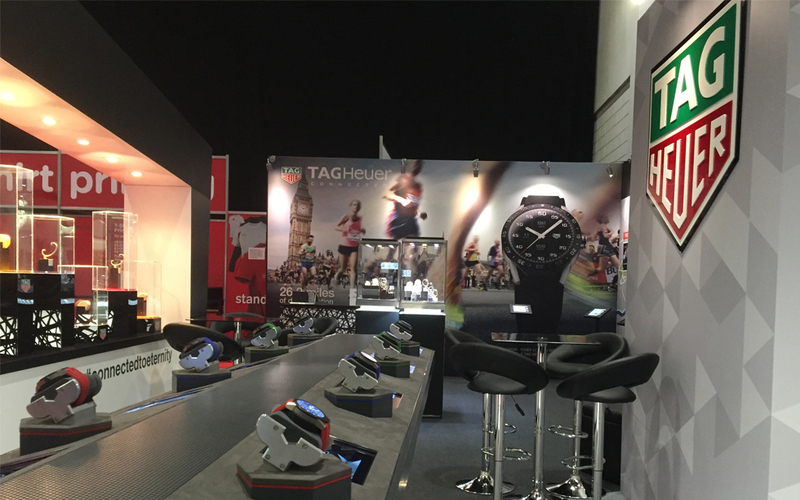 We were extremely excited to unveil our TAG Heuer stand at the Virgin Money London Marathon event a week before the main event last month. 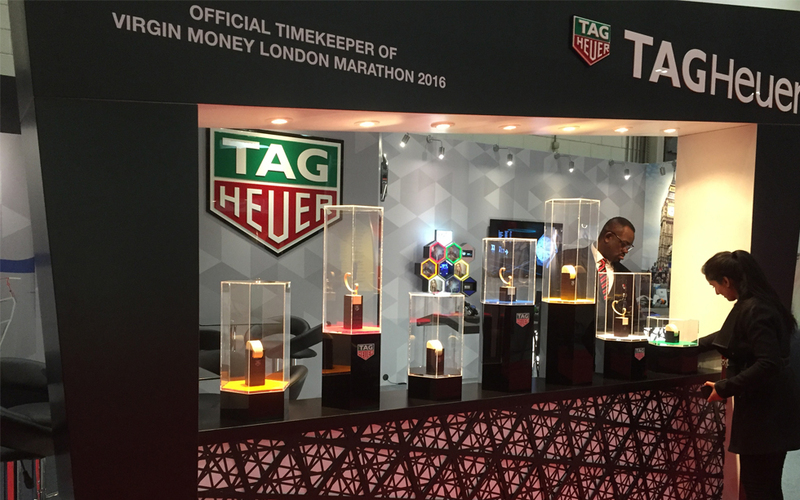 We designed, produced and built the 70sq metre structure located at Londons Excel Centre for the prestigious brand who are now the official timekeepers of the London Marathon. 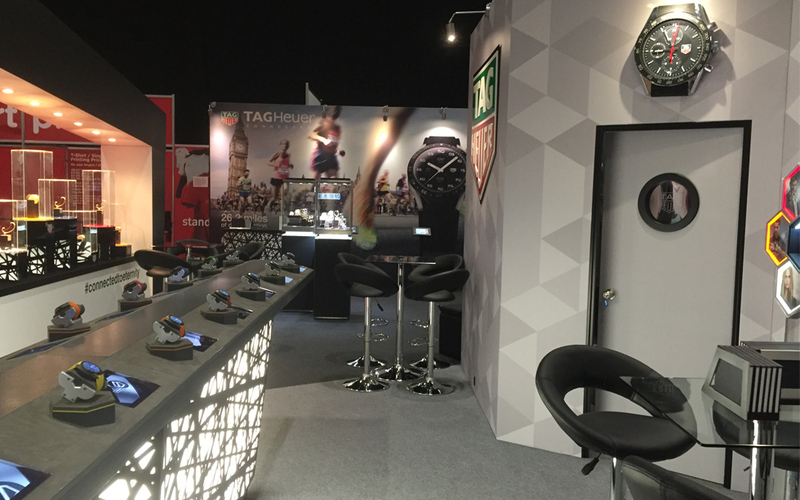 Our aim was to epitomise the elite matchmaker within a temporary structure in the form of premium dressings and graphic treatments housed in a mini boutique. 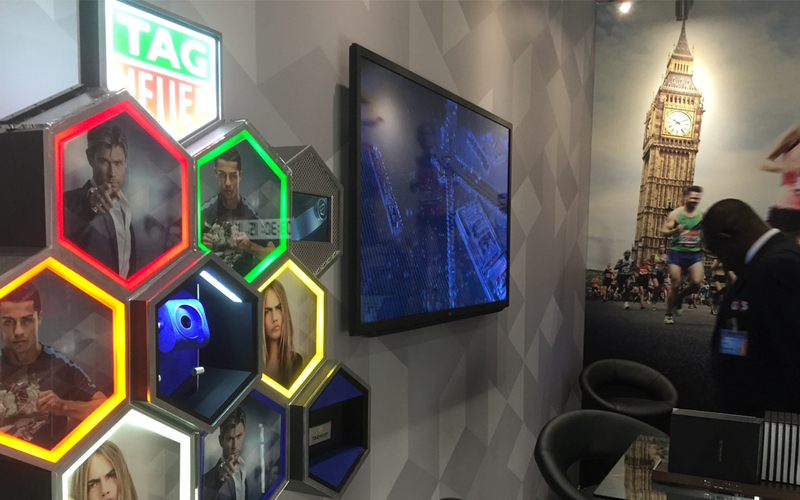 Our stand design featured a central, island, fascia vitrine, creating a great flow for our visitors while ensuring the brand could be instantly seen as you navigated through the exhibition. 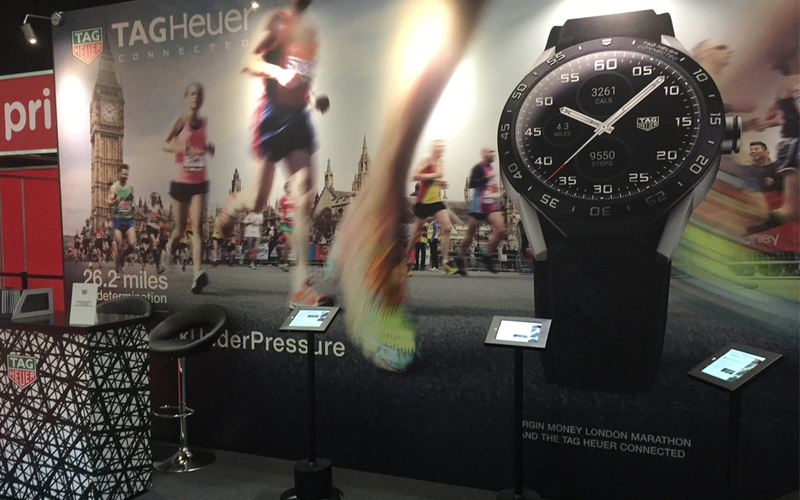 With seamless, printed wall coverings, AV screens, iPads and a huge 4m kinetic TAG Heuer Connected Watch display – we had all aspects covered to create an eye-catching and inviting stand. 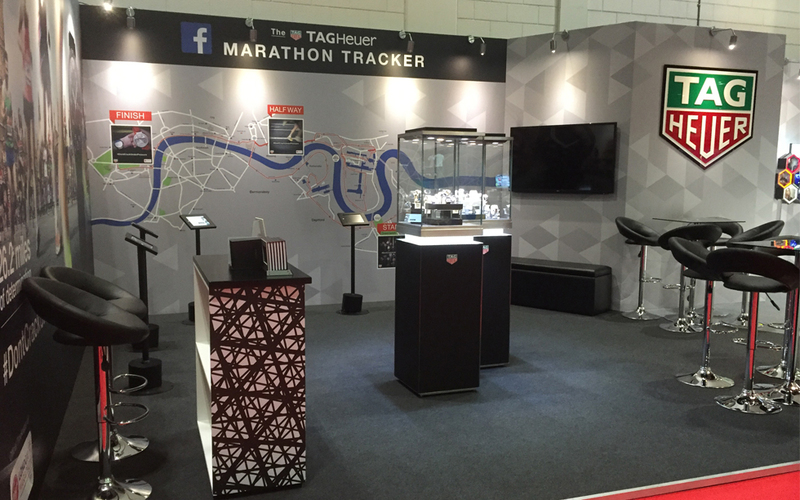 Utilising Marathon tracking via Facebook pages, runners could ensure family and friends could really get into the spirit cheering them on! 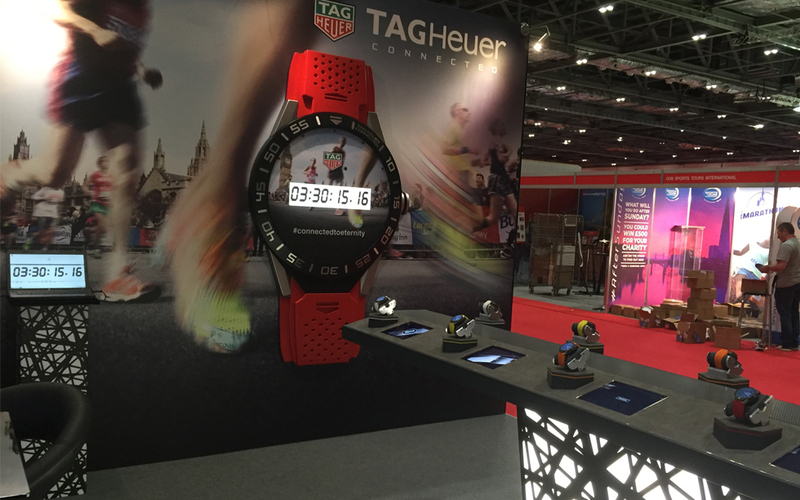 Instagram fans could predict their Marathon time on our giant, interactive TAG Heuer Connected Watch which we fabricated in wood, topped with steel numbers and finished with a digital countdown screen. 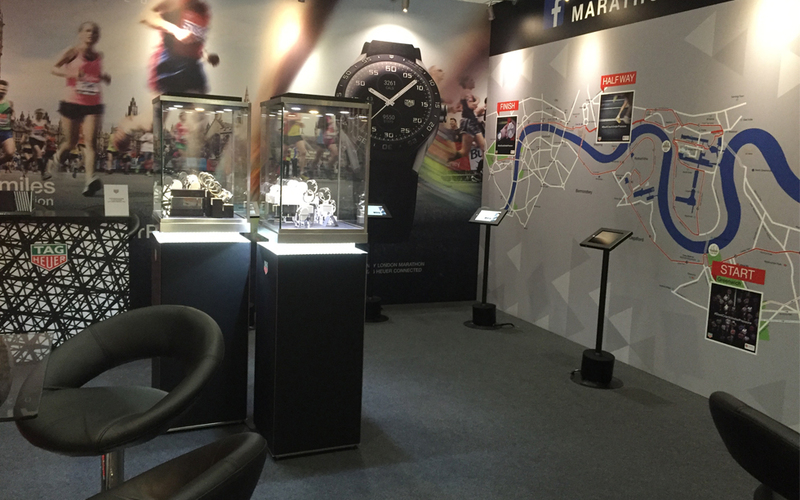 It certainly was a great honour to be part of such an amazing event and to meet so many focused runners and learn about their London Marathon and what it means to them.